This weekend has been supercrazyinsane for me with work for the job I actually get paid to do, so I haven’t had a spare moment to get anything done at the house. Brandon, however, has spent a bunch of time there – stacking wood yesterday (we’ll be ready to fire up that wood stove the second we move in! ), and working on a flooring project today. 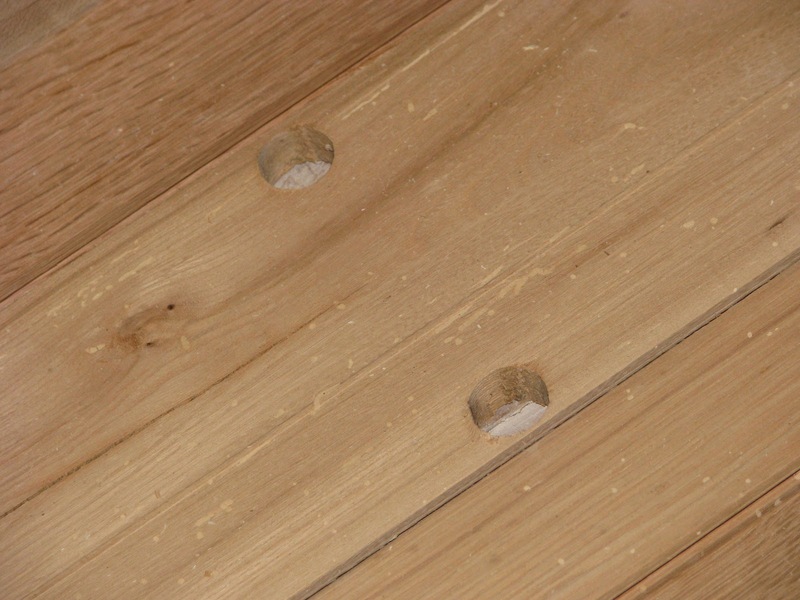 As I’ve mentioned before, the reclaimed barnwood flooring has small holes where the beams were held together by wooden pegs. We want to preserve the look and historical character of the flooring, but obviously we don’t really want holes all over the place (dog fur trap much?). Brandon is filling the holes with a two-part epoxy that the flooring crew will sand down this week when they come back to finish the floors. Apparently he and the GC were joking about putting things in the holes, like dead flies that would then look like they were trapped in amber. This gave me the idea that it might be a lot of fun to use one of the holes as a mini time capsule, and plop in a penny from the year the house was built. 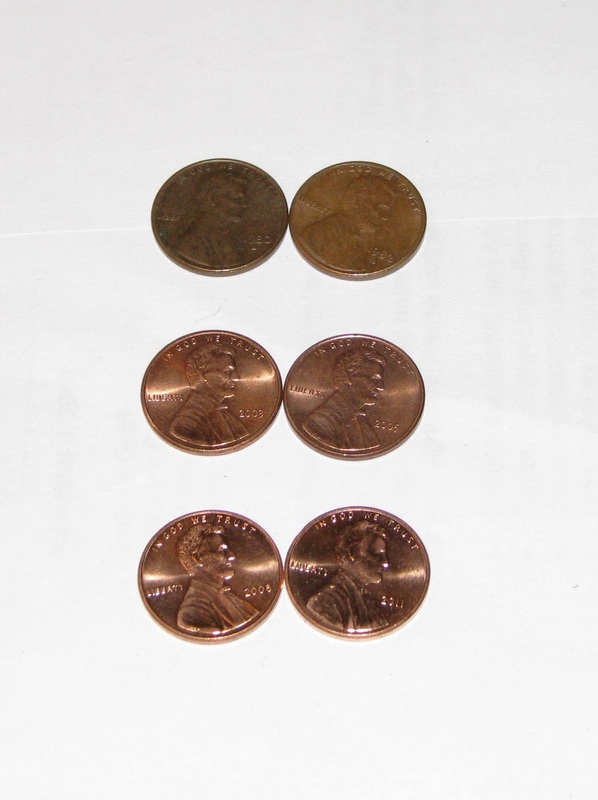 Going through our can o’ loose change, we decided we would actually hide six pennies in holes around the house. So when y’all visit, consider it scavenger-hunt time! When we were re-doing the animal room I wrote a note to any future homeowner on the sheathing of what the room used to look like and what we had done to it so if anyone every opens that wall up they'll get a “hellew!” from us.